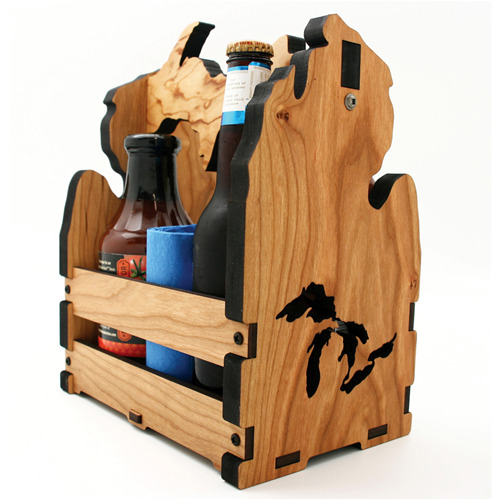 G3 Studios creates unique and beautiful wood gifts, hand-crafted in our Northern Michigan studio. Our artisan products feature stylish precision laser cut designs and solid construction made to last a lifetime. Our products are produced in small batches; individually constructed and sanded for the highest quality and consistency control. Make G3 Studios your go to stop for functional wood art. Have an idea for a custom wood product? 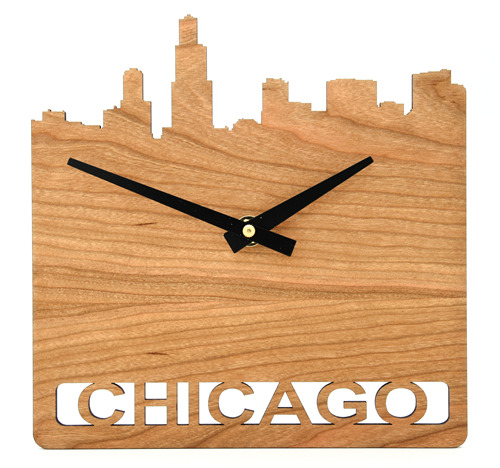 The G3 team can laser cut your custom design onto our wood products. Or, have us help you to design a unique wood product for your business. When you’re looking for the right items for your shop, keep G3 Studios top of mind. Our unique and eye-popping products are sure to capture your customers’ attention. Celebrating 20 years together! Enjoy our celebration with us at Booth# 941. Paid orders recieved at the show will recieve $20 off with a minimum purchase. Every dog owner could use a leash hook holder. 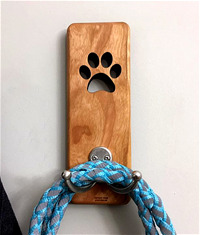 A perfect dog leash holder for dog lovers who want to keep their leash handy, while adding a decorative touch to their home at the same time. Whether, you are trying to beat the morning rush or heading out the door for an adventure. You will be ready to walk your dog in a moment’s notice. 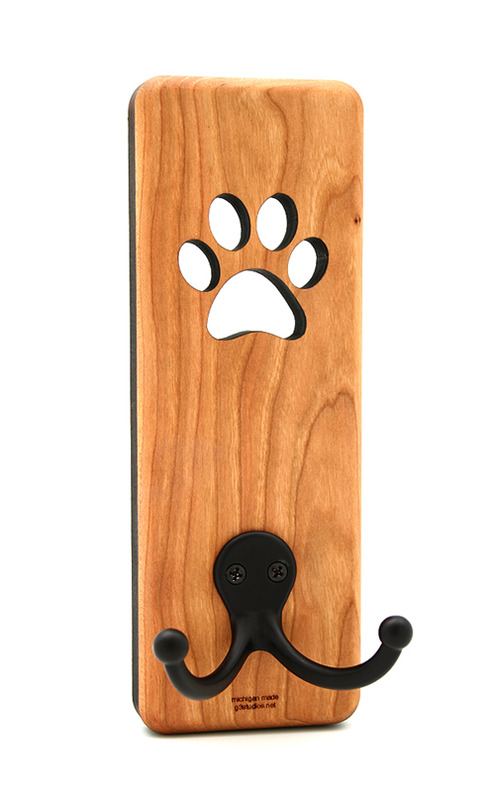 About our dog leash holder: Made from solid cherry wood that is laser-cut with a dog paw cut-out, and then hand sanded. To secure wall mounting, you will find two mounting key slots on the back. Measuring 7.75” long, and supplied with a double black hook. There is plenty of room for a leash and your favorite dog walking bags. Your furry friend will thank you every time you grab their dog leash. Custom wood trivets in multiple trivet designs. Made from Solid Cherry Wood. 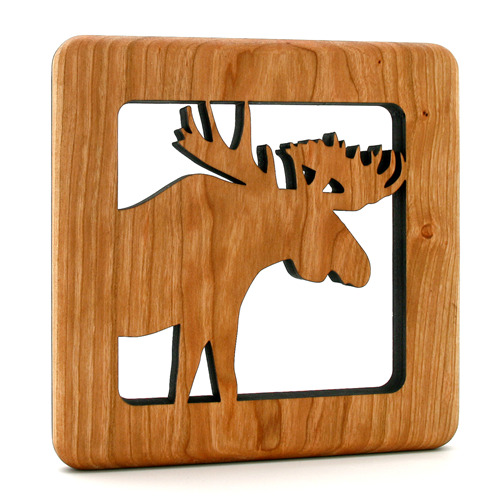 Decorative Wooden trivets are practical and functional.They do a great job protecting your table or counter top from hot pots, pans, or dishes. 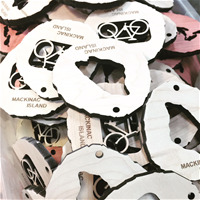 Our unique designs are laser cut featuring your chosen graphic. Not only do these trivets add functionality to your kitchen, they make great gifts too. Each trivet is hand sanded and hand dipped in a natural oil finish preserving the natural beauty and luster of Cherry wood grain. For care: Hand wash your wood trivet over the sink. Do not submerge in water. Dry thoroughly. Treat with mineral oil to keep the wood from drying out. Star of David trivets, small crates, or napkin holders. 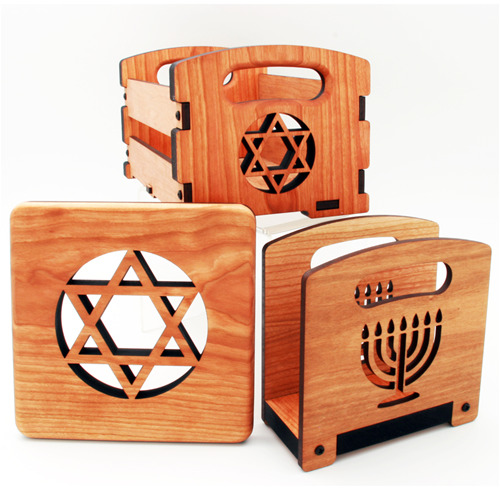 Menorah trivets, small crates, or napkin holders. Carry your napkins, utensils, drinks, or condiments with this handy, wooden caddy to the grill / picnic table / dining room table. 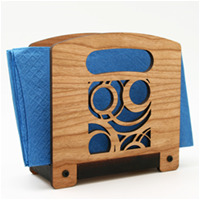 This small kitchen wooden caddy is made from Cherry wood and is assembled with screws. 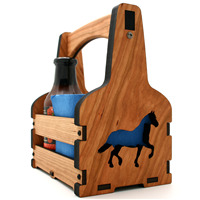 The wooden caddy is dipped in a food-safe oil showing the luster of the grain in Cherry wood. Show your love for the your city with this decorative, wood wall clock. Wooden ornaments made from Cherry Mdf. Tied with fine jute to hang on a tree or used to hang in a window. Perfect, small gift. Let us customize a design for you. 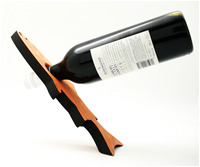 This wine bottle stand represents the best of both worlds: a creative, perfectly functional tool that doubles as an impressive piece of modern design (and a serious conversation starter)! The stand seems to defy physics in offering the most unique possible way to display your finest reds and whites. There’s a very good reason to arrange the bottles at this unusual angle: Storing wines upright can compromise their quality, so a tilted bottle ensures that the flavor will be fresher and better balanced. 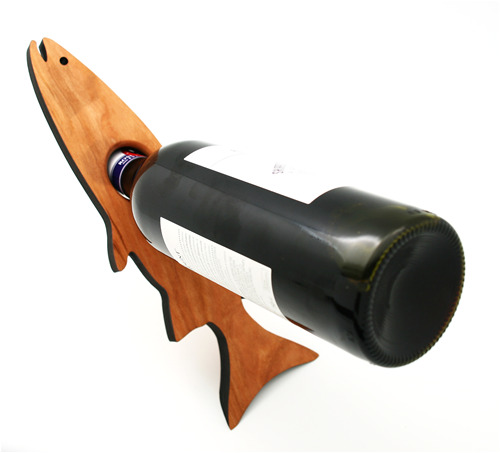 Makes a perfect wedding gift, anniversary gift, birthday gift, housewarming gift, Thank you gift, or anytime gift with a nice bottle of wine. 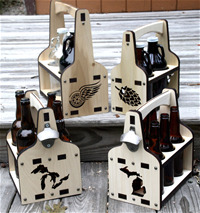 Each bottle stand is a laser cut out from random leftover wood pieces. Mostly cherry or occasionally poplar wood. Recycled and re-purpose. Approximate size of each: 11.375″ x 3.625″ x .625″. 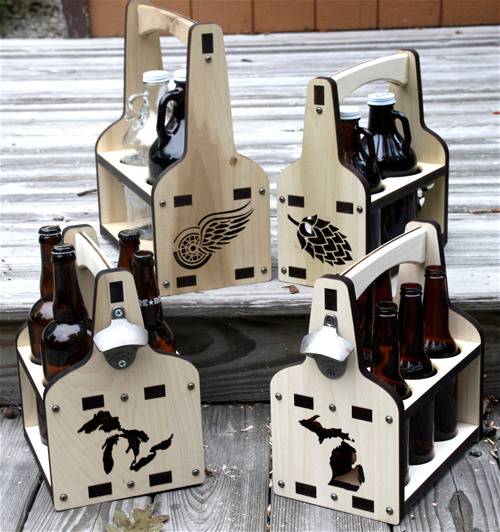 Growlers, Howlers, Bombers, and good ol' 6 pack Beer Caddies to meet your customer needs. BUILT TO LAST—Our caddies are built for real life and real use. We use Mortise and tenon joints for structural integrity. Then we fasten everything together with deep-threaded pocket hole screws, ensuring heavy-duty long-lasting design. Each carrier is completely laser-cut for tight tolerance fit and function. Guaranteed to bring happiness to any home just hanging your keys after a long work day. Plus, they make great gifts for that one person that is always losing their keys. Each key rack has mounting key-slots on the back to ensure durability of use and ease of hanging. 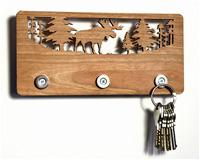 Key rack 3 place magnets measure approx: 8.25″ x 3.75″ x .75″ or 2.25″ with a hook. 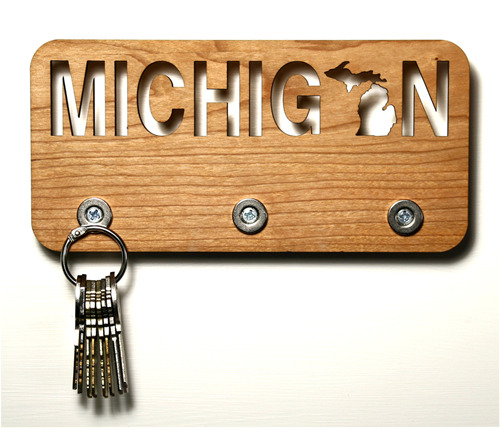 Key rack 5 place magnets measure approx: 11.5″ x 3.75″ x .75″ or 2.25″ with a hook.